All artwork on this page is © copyright 2006 the artists. Please send caption corrections to yo@graffiti.org and mention Brazil 22. 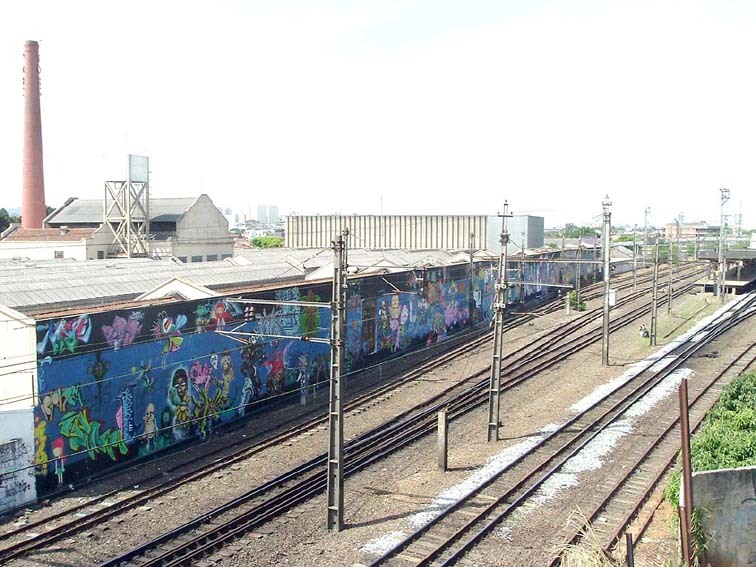 This marathon of street art happened on the 16th and 17th of September of 2006 in the train station Domingos de Morais of the CPTM. With support of the public transport company and sponsorship by the Colorgin, Tiger, Profile, Loctobo, FBC, 3ºMundo and the Séc. of State of the Culture. The event made a mark on the graffiti scene with one of the greatest walls in the world. The painting started Saturday morning at 10am, went all night, and finished Sunday at 4pm. With good scaffolding the 150 grafiteiros covered more than 1 kilometer of wall. Organized by Binho Ribeiro and Bonga, this challenge showed how much the artists can achieve when they organize and create work that before only existed in dreams. 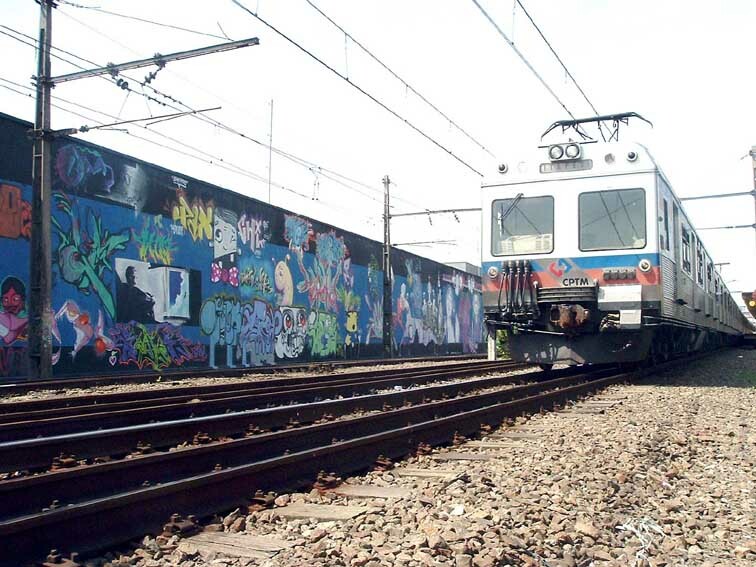 This project is a great conquest that reflects the maturity of and respect for graffiti culture in Brazil and the world. 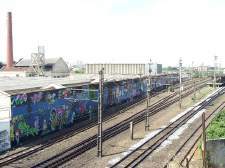 Esta foi a maratona de arte de Rua que aconteceu nos dias 16 e 17 de setembro de 2006 Na estação de trem Domingos de Morais da CPTM. Com apoio da empresa de transportes públicos juntamente ao patrocínio da Colorgin, Tigre, Profile, Loctobo, FBC, 3ºMundo e a Séc. de Estado da Cultura. O evento marcou a cena do graffiti com um dos maiores murais do mundo. As pinturas começaram no sábado as 10h viraram a noite e terminaram no domingo as 16h. Com uma boa estrutura os 150 grafiteiros cobriram mais de 1 kilometro de muro. Organizado por Binho Ribeiro (SKATER) e Bonga este desafio mostrou o quanto os artistas pedem se organizar e construir obras que antes só existiam nos sonhos. 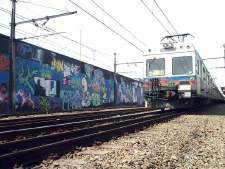 Uma grande conquista que reflete o amadurecimento e respeito da cultura do Graffiti no Brasil e no mundo.